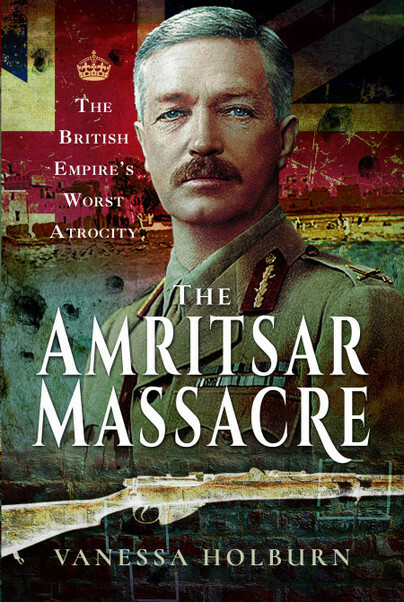 You'll be £15.99 closer to your next £10.00 credit when you purchase The Amritsar Massacre. What's this? Order within the next 4 hours, 39 minutes to get your order processed the next working day! The shocking massacre of 379 unarmed Indians in the enclosed Jallianwala Bagh park on the command of a British army officer on April 13th, 1919 is considered a brutal example of colonial abuse. Immediately afterwards martial law was established with harsh penalties and punishments. Often considered as the darkest period of the Raj, the massacre helped galvanise the Indian Nationalist movement, making full independence inevitable. Yet both the Queen and former Prime Minister David Cameron have side stepped calls for an apology for the mass shooting during official visits to Amritsar. One hundred years on, is it time to say sorry? This book examines the context in which the infamous event took place – and asks why something that happened 100 years ago remains so controversial. Did the order to fire prevent further native and imperialist bloodshed in the Punjab? Was enough done at the time to investigate if General Robert Dyer acted alone or with the full support of his superiors? Who was ultimately responsible for the 1,650 rounds of ammunition discharged that day? Readers will discover how tensions within the region – and political and professional ambitions on both sides – combined to create a chain of events that signaled the beginning of the end for the British Raj. A journalist with over 20 years experience, Vanessa Holburn has worked and travelled extensively in Asia, with some of that time spent in India. Vanessa’s work has appeared in national consumer and trade press and digital outlets. The mainstay of this work has required her to take complicated subjects and make them accessible and interesting to read. Discovering details – and presenting them in an engaging way – is her passion. Her consumer press credits include Woman’s Own, Yours, Dogs Today, Ask The Doctor, The Mirror, The Sun and The Independent on Sunday.